After a positive 2017-season it was back to basics for Iwata last year, and they only avoided relegation by beating Tokyo Verdy in the J1/J2-playoff final. To their defence, they struggled with a lot of injuries last year to several key members which obviously affected their performances. But manager Hiroshi Nanami has a tough task ahead of himself this year if the team is to improve, because there has hardly been any changes to their roster with no real quality signings coming in. Important players like Nakamura and Adailton missed big parts of last year due to injuries, and if they can stay fit this season it should strengthen the team. 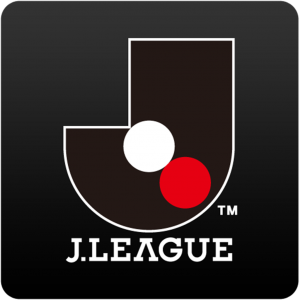 However, with the competition looking tougher than ever it is alarming that the only players Iwata have managed to bring in is a journeyman from Luxembourg (Rodrigues), a J2-reject (Nakayama) and Moriya from Kawasaki Frontale who’s only started 8 matches the past 2 seasons. With the new-found money in the league as a part of the DAZN-deal, it is actually quite surprising that Iwata hasn’t been able to land some bigger names. Their squad is still relatively thin, and if they were to have any injury troubles this year too it could be a tough season for them. It’s hard to imagine them having a shot at a top 10 finish, and it’s seems more likely that they will be involved in the relegation-battle. However, as they showed in 2017 there is some potential in this team and they have historically been a very tricky team to predict. 2018: (Predicted: 6th – 9th) 16. 2017: (Predicted: 14th– 17th) 6. 2016: (Predicted: 12th– 15th) 13. 2013: (Predicted: 7th – 10th) 17.